If you consider Windows Server to be secure by default, you might be making a big mistake. It is very important – if not crucial – to go an extra mile and establish a customized security policy that will protect the organization from losing sensitive information. You might consider appropriately restricting access to critical systems in order to be sure, that only necessary rights are granted. Auditing and monitoring are also the cornerstones of Windows Server security: these can help keep an eye on the changes and track down the cause of a data breach, or – even better – prevent one from happening. 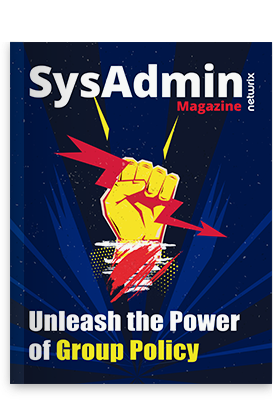 Dig into the fifth issue of “SysAdmin Magazine”! This one is full of quality advice about most ways to secure Windows Server: in a form of articles, guides and how-tos. Moreover, there is an IT News section with an explanation of PCI DSS v3 implementation difficulties, and new features of Windows 10. Skim or scan, just make sure, that from now on you can handle Windows Server with less risk!